You will find Omegle video for iPhone and also some alternatives of Omegle on App Store in this guide. Video chat is probably the best feature of the website and it is now exists with Puffin Browser. You can use your camera with Puffin application and start to talk to strangers. You can click here to get download link of Puffin Browser for App Store. Unfortunately developers didn’t develop an application for video chat of the website and there is not any application which provides this feature to us… There’s only Omegle iPhone application which is working only text chat features but we don’t recommend you this application at all because it has very low rating from iOS users. The application is disappointing for everyone who wants use Text Chat and Spy and Question Mode features. If you want to take a look at popular alternatives (applications with 1-100 million users), you can find the information below and you will find information on how to use Omegle video on your iPhone device. You will need to connect to site with Puffin browser. It’s only how you can chat on Omegle Video for iPhone. If you think that you can chat on video feature with your iPhone device without browser, unfortunately you will disappointed. So what can you do? Which browsers you can use on your iOS devices for Omegle Video? You can download Google Chrome application or Puffin Browser app of iOS. While we are unsure that Omegle video is still working with Google Chrome, we are sure that the video feature is working on Puffin Browser (There are some conflicts with iOS 11 though). Click here to download Google Chrome or you can download Puffin to use video chat feature on your iPhone device. However Puffin is problematic on iPhone devices after recent updates of iOS 11. You can click here to read solutions, if you are facing camera problems on Puffin. If you would like to use Omegle video in your iPhone device, you can use Puffin browser. 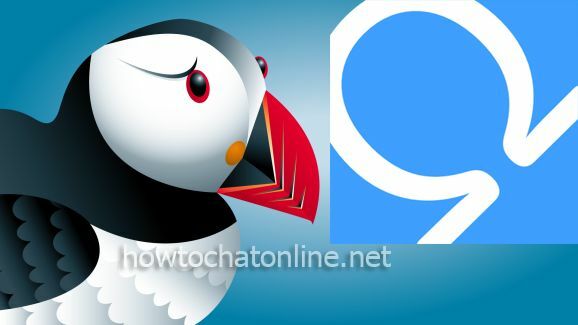 All you need to do is going to App Store and download this free browser but we should remind you that after recent updates on iOS, Puffin started to be very problematic for those who wants to have Omegle video for iPhone devices. If you want to enter Omegle video with your iPad devices, you can check our tutorial for this. These are some good alternatives for iPhone and other iOS devices which you can find on App Store. If you have any suggestion, please leave us a comment at the following comment section. HOLLA is a random chat platform where you can talk to strangers and it is a good Omegle alternative for iPhone. The application got many praises from users and it is also one of the best random chat applications of App Store at the moment! Recommended! Ome TV is also very popular another application that you can use. The application’s website is serving as Omegle Alternative for years and it is probably the best opportunity for you to contact new people and talk to strangers. Important: Application has named as MiniChat on iOS. Chatous is a famous random chat site of the world and there are many online users of the site. If you would like to talk to strangers with similar interests. You can also download this application. The application includes random video and text chat features. Chatous is one of the best Omegle alternatives for iOS devices. Tango is also another good alternative. You will able to chat with your partners with video and text in your iPhone and other iOS devices. It is also possible to find many online people on this app to chat. You can even start a dating with them. There’s a quality search system on Tango which you can find girls from any country you want. You can also filter genders. It means you will have a chance to catch only girl or guy profiles. WeChat is a messenger application but you can also meet strangers with this iOS application. So it makes it a good alternative of Omegle. All you need to do is downloading WeChat from the App Store and installing the application to your device. You can also visit App Store with the download button below. Once you register to WeChat, you will able to shake your phone and you will also meet with a random stranger from a random country. ooVoo is a good alternative of Omegle in iOS phones. So you can easily use it in your device and you can use video chat while you chat with your partners. You can start a dating with these girls. Camfrog has been used by many people by years. It’s a good alternative and you will also find a lot of good features in this application. It’s a good dating service like chat site. You will find many online people there but when we compare it with other applications, we cannot say it is perfect. It is not recommended for a random conversation but you can also use Skype or unofficial iOS app of the website. You can download these applications alternatively to Omegle Video iOS on iTunes or App Store. Download application of Skype and go to Omegle iPhone application. Chat with girls or men there. If you like your partner get her Skype account and begin to chat on video. That’s easy! So you will able to chat on video chat with using both service. You can’t also use Lady Zone with your phone device. If you are looking for Android alternatives you can click here. Yeah, I liked how puffin works on Android and iOS. Hello I’m just looking for some guy friends!? I am using iPhone 6. There’s any good Omegle Video Chat application or an altenative of that for my device? Can you please tell me? I would like to use a random video chat site but I couldn’t find any of them recently. The application can be in Spanish, Italian, French, German or English. I know all these languages. Please tell me if you know any of them. By the way, I am also looking for people to chat in Skype or KIK. If you are interested to talk to me, please mail me your Skype ID or Kik ID. I am 25 years old and I am living in Switzerland. I love to chat with foreigners and I am looking for girls from Ireland, England, Scotland, Wales, France, Spain, Italy… I love to talk to people in different languages. I don’t speak English perfectly but I can still try. I am 16 and female and looking for a life. I was trying to find these informations. Helpful! Thank you.